Yup. I’m one of those people. If you cringe at that thought … well, I declare you unorganized! But, you’re still allowed to enjoy this spring dish. I know a “less than 20 minute meal” has become a cliche/semi-marketing term, but it applies here. So, take a break from the joy of spring cleaning (or the teeth grinding of watching your significant other compulsively organize), and make this. Fresh, vibrant, healthy, seasonal, and ready in under 20 minutes. I prefer to roast asparagus. Roasting brings out the flavor by concentrating the natural sugar. Couldn’t be easier. Toss with olive oil, salt and pepper, then pop in the oven. 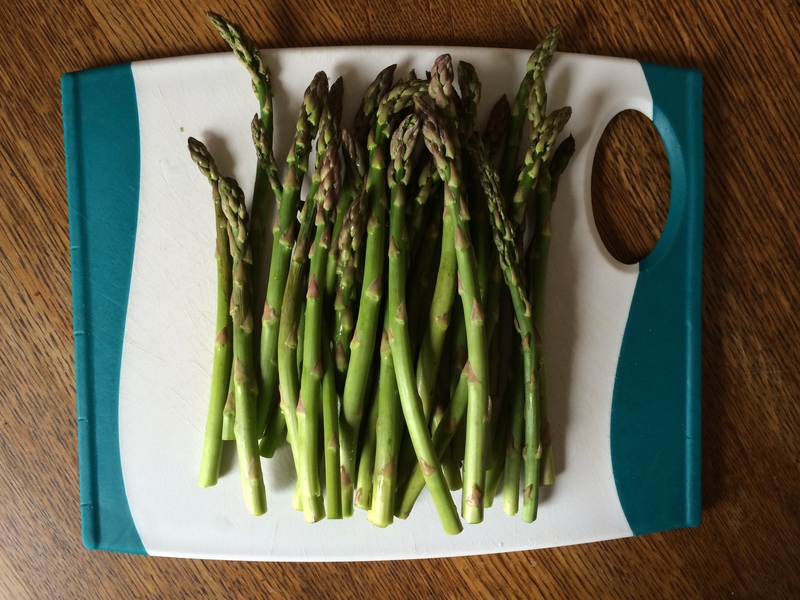 When purchasing asparagus, look for spears thin in diameter with compact heads and firm unwrinkled stalks. 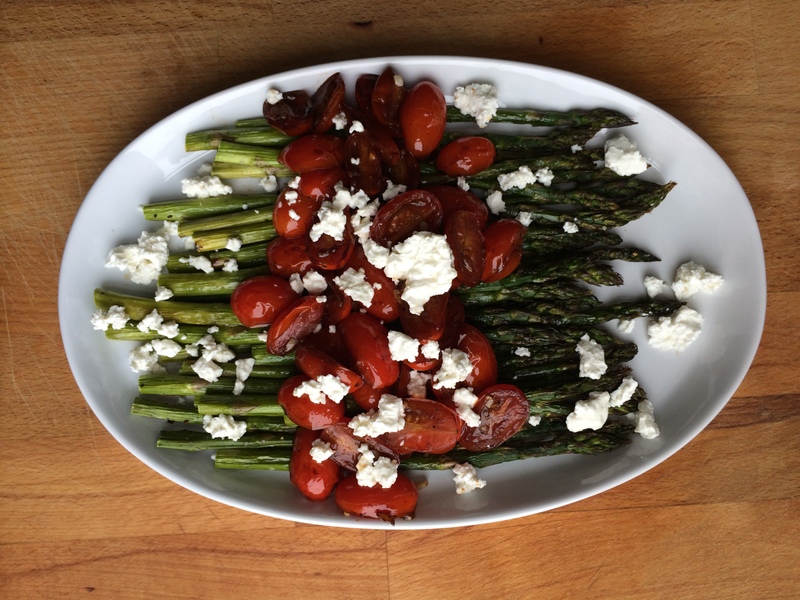 Asparagus is highly nutritional, low in calories, and extremely low in sodium. It’s good for you! 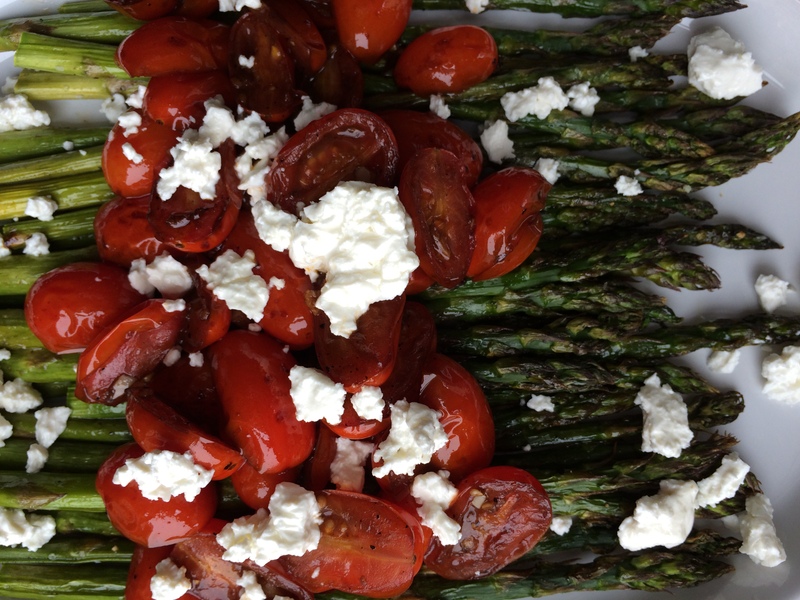 Toss your roasted asparagus with balsamic tomatoes and feta cheese. Serve as a side dish, or as a main course with a chunk of crusty bread. 20 minutes and 5 ingredients. It’s all you need. Now … back to strangely enjoying the act of putting my wool sweaters and winter coats on the top shelf of my closet. 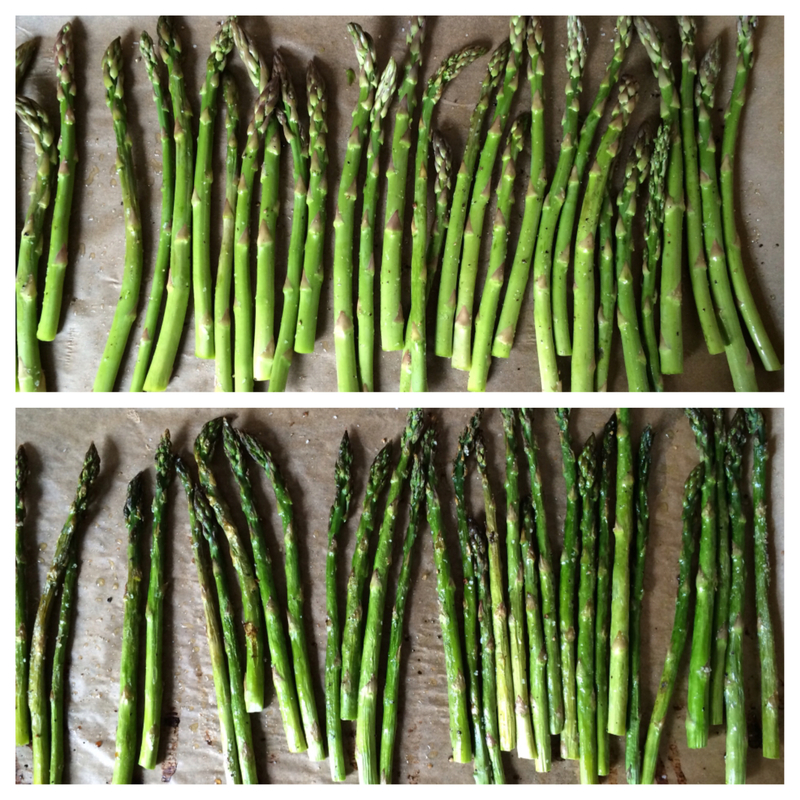 On a rimmed baking sheet, toss asparagus with 1/2 tbsp olive oil, salt, and pepper. Roast for 12-15 minutes until cooked through and slightly charred. Meanwhile, heat a saute pan with 1/2 tbsp of olive oil over medium-high heat. 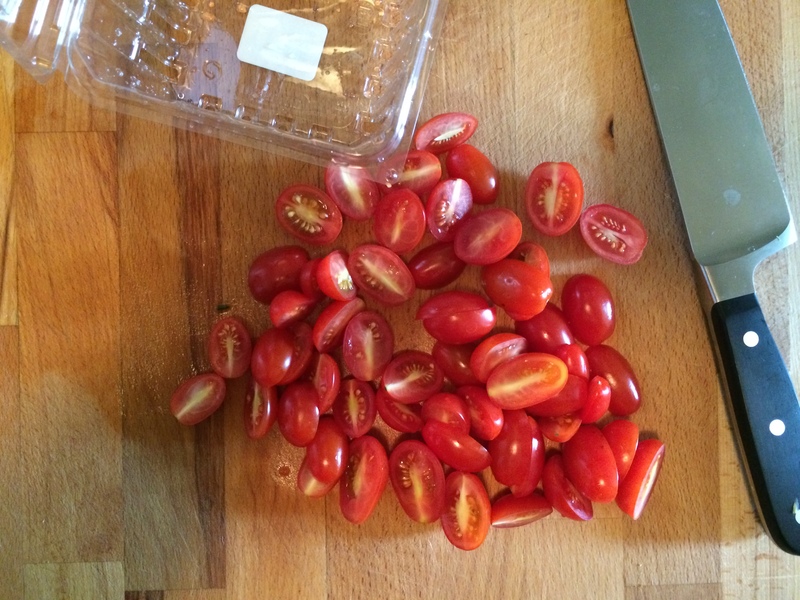 Add cherry tomatoes and cook for 3 minutes, stirring occasionally. Add garlic and cook 2 additional minutes until fragrant. Stir in balsamic vinegar, and a pinch of salt. Cook for 3 minutes, stirring frequently until balsamic thickens and tomatoes are nicely coated. 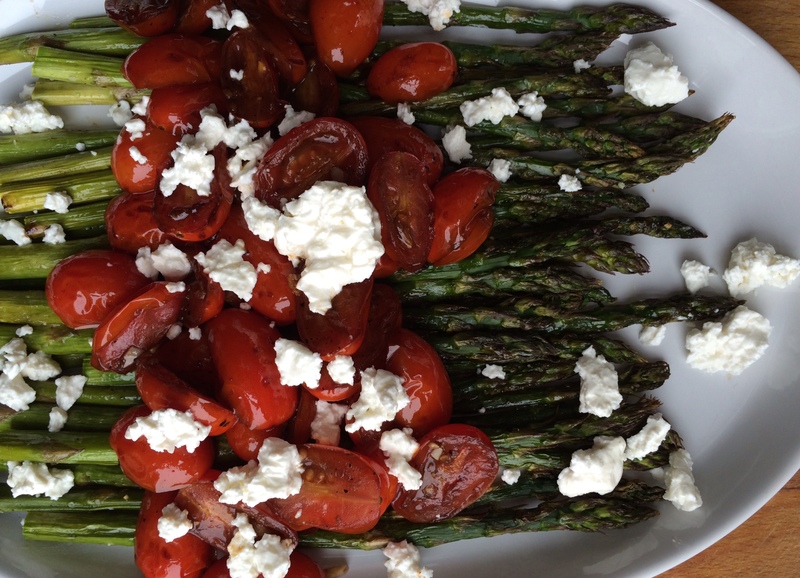 Arrange asparagus on a platter. 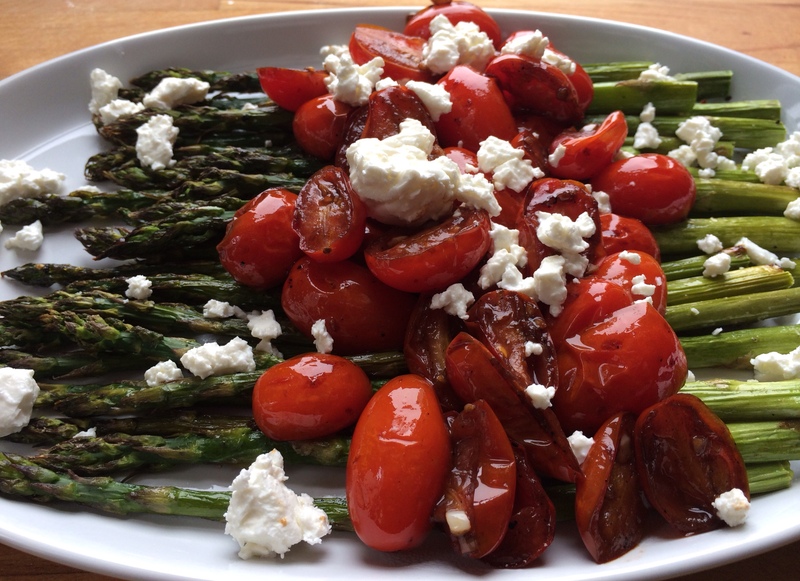 Top with balsamic tomatoes and crumbled feta cheese. Serves: 4 as a side dish (Serving size: roughly 7 stalked per person) *Make sure to double the recipe if you’re serving asparagus lovers. Goat cheese would be excellent! Oh my! I just made these a few days ago too! Love this combo! Looks delish! Maybe I’ll make this for Easter. My bro Joe C. (Your pal from MI) loves asparagus and raves about your cooking. Hi Christina! I hope you and your family had a wonderful Easter! This would be a perfect side dish to share with the clan.